Evelyn Williams was born in 1929 and at the age of 15 went to study at St Martin’s School of Art in war-time London before transferring to the Royal College of Art. In 1961 she was awarded first prize for sculpture in the John Moores competition and she has spent a lifetime drawing, painting and sculpting – often using everyday materials such as cardboard, cloth, paper and wool. 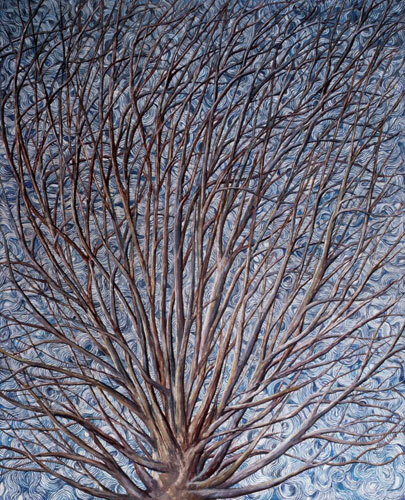 Almost all of Evelyn’s work is concerned with people and the human predicament: “My work comes from my life, shaped, nourished and determined by events and accidental happenings, misfortunes and relationships.” Her very personal paintings chart her progress through life as child, lover, mother and grandmother. She has exhibited in prominent UK galleries including the Whitechapel, London, Manchester City, Graves in Sheffield and the Chapter Centre in Cardiff. A film based on her book Work and Words was produced for television by David Thompson and featured Helen Mirren. Other well known admirers of the work of Evelyn Williams include Sir Hugh Casson, Faye Weldon and Paula Rego. Evelyn’s work is in many public collections including the Contemporary Art Society for Wales, the National Museum of Wales, the Victoria and Albert Museum, the British Arts Council and Cambridge University. 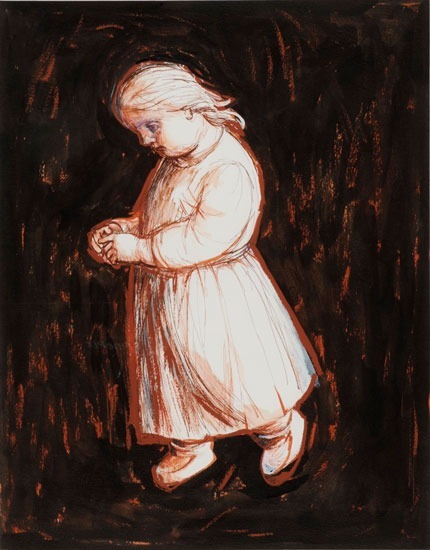 Evelyn’s work is unique among contemporary British art because of her ability to impart a timeless classical form to the range of human emotions – loves and dreams, fears and anxieties. She addresses the concerns she shares with many younger contemporary artists, for example identity, mortality, relationship, alienation, in a completely original way. Her work displays sadness, anguish and compassion.